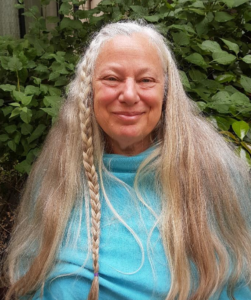 To order herbal remedies from Energy for Life Connection, please download the current Herbal Remedies Order Form on our Forms & Resources Page or call/email Stacey. 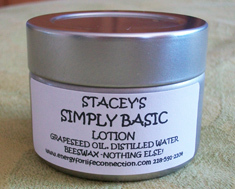 When you need just a basic lotion – contains grapeseed oil, bees wax, and distilled water – nothing else!. Fast, soothing relief for patchy, itchy, rashy skin. 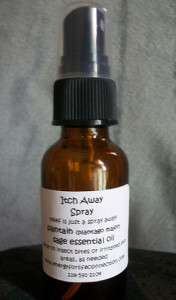 Helps relieve eczema and psoriasis. 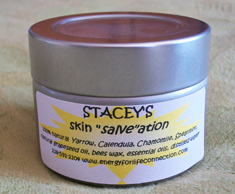 Contains Yarrow, Callendula, Chamomile, Spearmint, and essential oils of Lavender and Tea Tree. Soothing, cooling relief for dry and chapped lips. Contains Calendula, Chamomile, and Spearmint. A must for any pocket or purse. Spearmint flavored. In a handy one ounce bottle for home, car or cabin. Plantain (Plantago major, and Sage essential oil) applied topically to bug bites and bee stings removes the venom that causes the itching. Also helps slivers come out, clears infection from wounds, and clears up acne. All purpose general healer. Simulates tissue regeneration and cell growth. Use for all soft tissue needs – from dry skin to sore muscles, great sunburn relief, and superficial wound healing. Soothing salve infused with relief from the boughs of pine and cedar trees- also contains eucalyptus, lavender, thyme, essential oil. 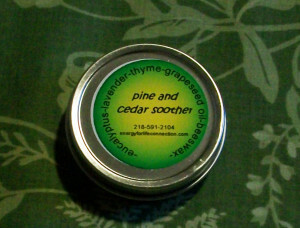 Great for sore muscles, clearing chest congestion and more. I love the feel of it on my feet. 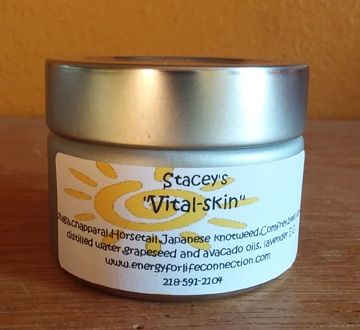 Vitalizing and protective herbs to support your healthy skin. Natural UV protective properties and vitalizing nutrients. Great for year round use for face and body. Not waterproof, need to reapply when swimming,etc.